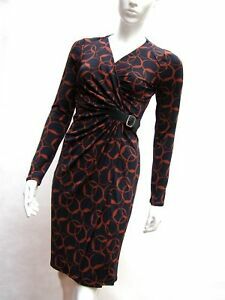 LAURA ASHLEY NAVY BLUE/RUST CIRCLE PRINT STRETCH JERSEY DRESS. 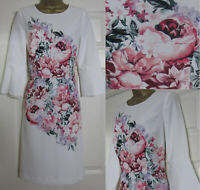 Laura Ashley Circle Print Dress. Abstract Circle Print, Cross Over Bodice. Size 8 Bust Without Stretch: 32ins. Superior Quality Comfortable to Wear Stretch Fabric.